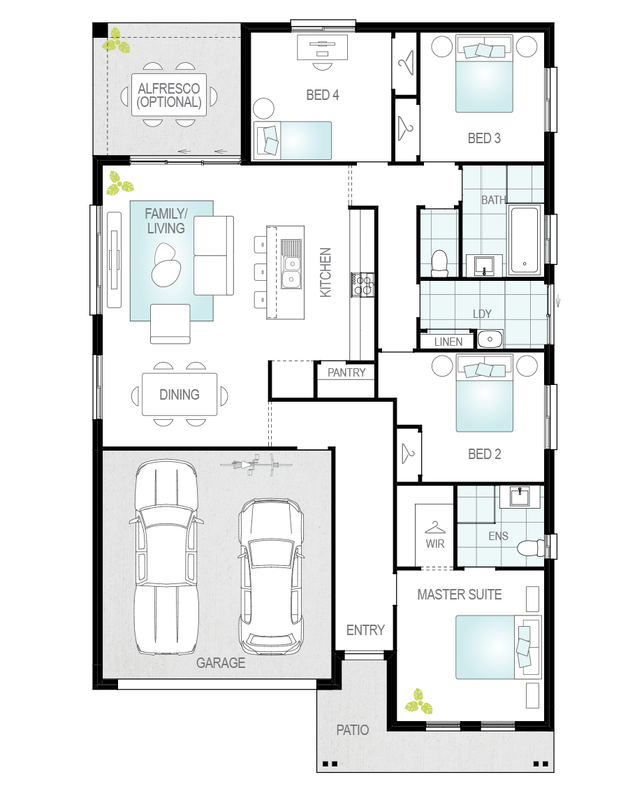 Balancing style with functionality, the floor plan of the Almeria flows seamlessly from the Entry to the rear of the home, drawing you in and offering a unique sense of flow and freedom. 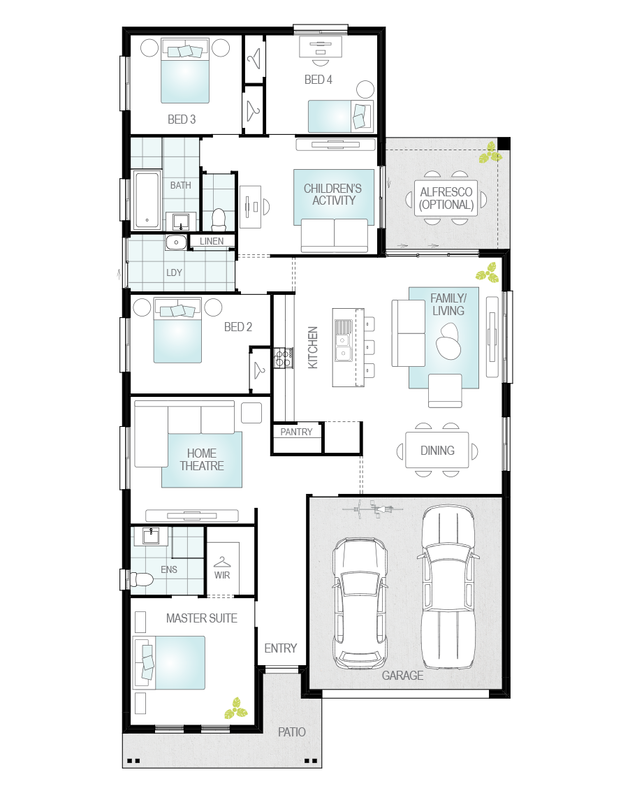 Spacious family living - You’ll love the open-plan area at the rear of the Almeria. The combined Family/Living, Dining and Kitchen space is warm and welcoming, with plenty of natural light and a calm ambience that makes everyday living a pleasure. Opening out the Alfresco, this large room can be easily expanded to bring the outside in to create extra space and that special feeling of home. 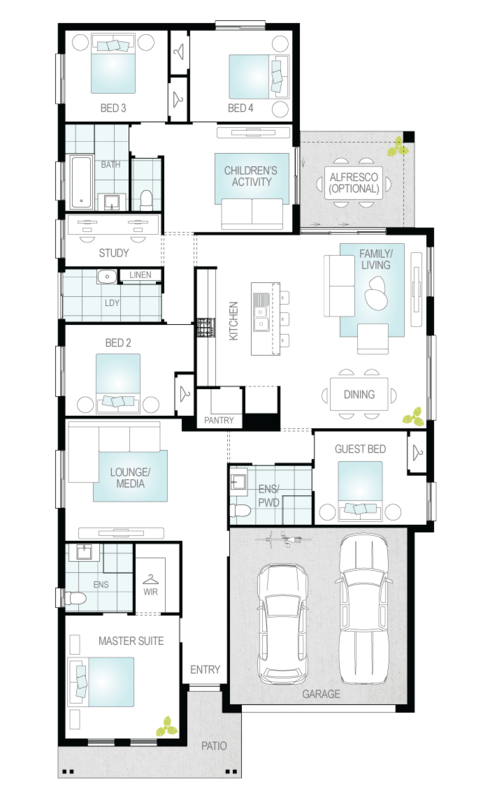 Two accommodation areas - The spacious Master Suite, complete with Ensuite and Walk-In Robe, is located at the front of the home and offers the perfect sanctuary from the hustle and bustle of everyday life for parents. 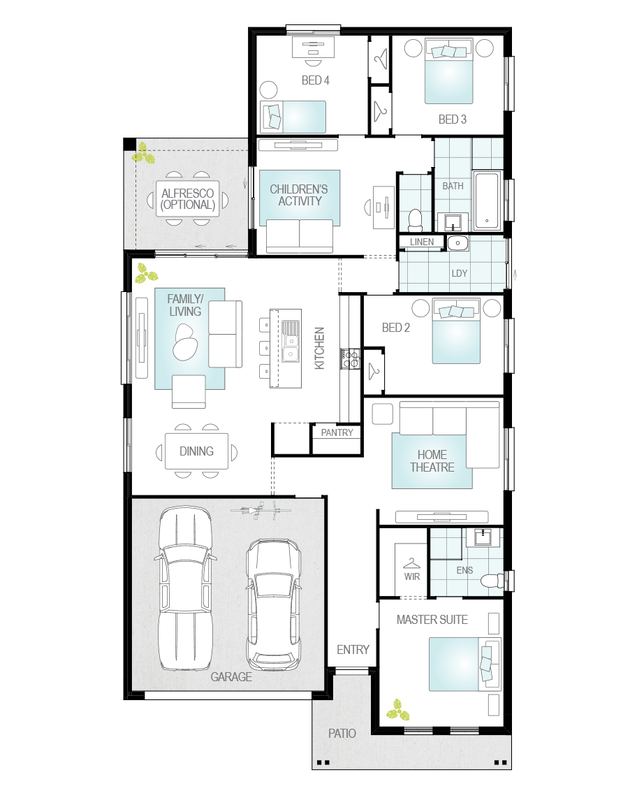 Also at the front is a second Bedroom, while the two remaining Bedrooms are located at the rear with handy access to a large family Bathroom. It’s the little things - Nothing has been forgotten in this home, which has been designed to include the little extras that make everyday living a breeze. 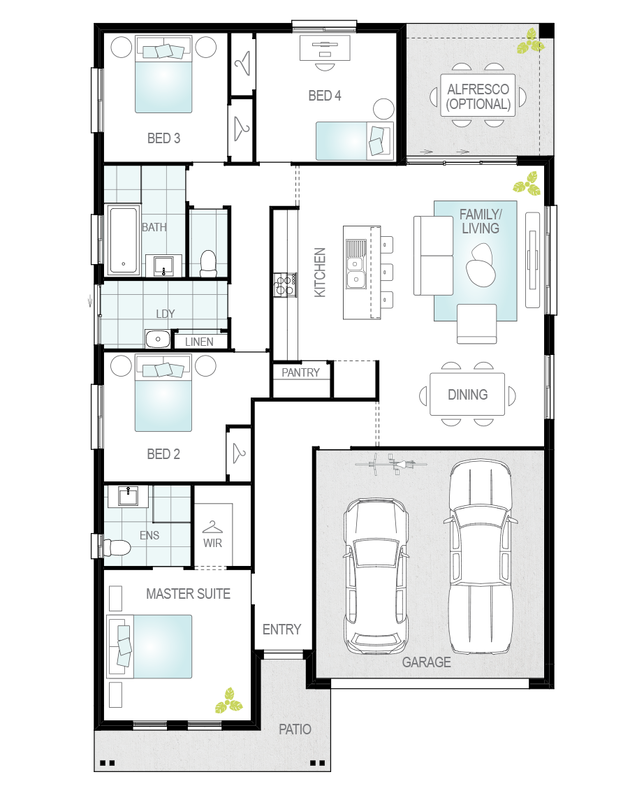 There’s a large Double Garage with internal access, Built-Ins in every Bedroom, island bench with breakfast bar and Laundry with external access. Our qualified conveyancers will support and guide you through the transaction of your current property and your new home or/and block of land. We speak your language and our experts will guide you through each step involved.